The Norfolk Detachment of the Ontario Provincial Police graciously sponsored 4 families this year. 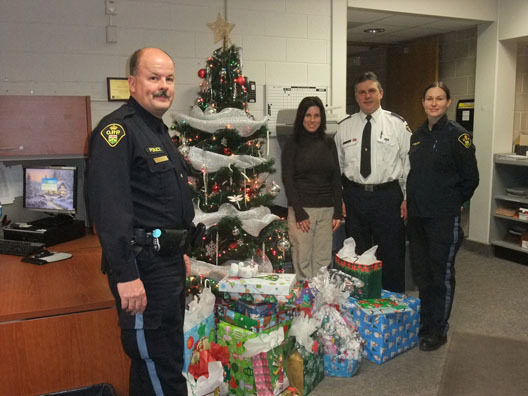 Pictured in the photo from left to right are Media Relations, Community Service Officer Mark Foster, Administrative Assistant Cindy Greenwood, Inspector Detachment Commander Zvonko Horvat and Constable Leanne Best. Missing from the photo was the organizer Teresa Ollen- Bittle. Thank You very much for helping our families.